Ideally, we would eat enough good quality food, it would be fully digested and assimilated, and our bodies would have the fuel they need for all important functions. But it's not an ideal world, and sometimes we need supplements, such as probiotics and extra amino acids. 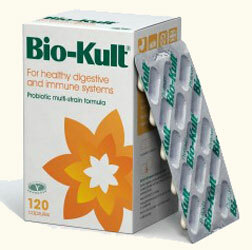 We now have more products in the Bio-kult range. See the Probiotics and Digestion page for more info, and to order. Quantum Tumeric is imported from Ayurvedic botanical growers in India, and is non-irradiated grade 10 quality. It is fresh ground and encapsulated immediately to retain its active volatile essential oils. Quantum Turmeric supports rejuvenation and optimal liver health. Turmeric (Curcuma longa) is a bright yellow tuber (as used in curry) that has been consumed for over 30 centuries in many countries for liver health, and is highly regarded for its protective properties. The active compounds in turmeric known as curcuminoids have exeptional liver protection and rejuvenation properties. Curcumin is a potent antioxidant showing activity as much as 300 times greater than that of vitamin E. Curcumin helps stimulate the flow of bile and aids in fat digestion. Tumeric is often taken for joint health. Curcuminoids as found in turmeric, can help to improve morning joint flexibility and overall joint health and function, and can be especially effective during joint “flare-ups”. Tumeric contains remarkable, immune modulating properties, it assists the detox mechanisms of the body, especially the liver, and helps improve and balance metabolism in the body. It promotes healthy digestion, relieves gas, and it helps purify the meridian system. Many of you may be willing to include liver in your weekly menu, but you can't find a good source, or your family just won't eat it. I wish we could just take it in a capsule! 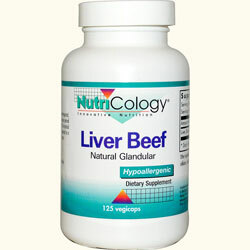 This liver extract comes from grass-fed New Zealand animals, raised without hormones or antibiotics. The material is frozen, then subjected to a high vacuum that vaporizes moisture directly from the solid state, thereby maintaining its biological activity. Don't let stiff joints keep you down. Science is now providing technical answers why many people are experiencing amazing results from The Gold Solution, even those customers who have not responded to other products like Condroitin, Glucosamine or MSM, are having positive results. Who should take The Gold Solution®? Suitable for the whole family. 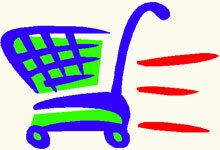 The Gold Solution® has no known side effects, is non-toxic and has an excellent safety profile. The Gold Solution® is an easy-to-drink dietary supplement and will not interfere with medication. Colloidal silver has been used successfully as a natural support to the body's immune system for over thirty years and has a massive and growing worldwide consumer following. How to take Colloidal Silver: Drink as required or take sublingually (under the tongue) or it can be sprayed. Special directions: For best results take colloidal silver straight without mixing with juice or other additives. Dosage: Follow the instructions on the label or as directed by your health professional. Formulation: Easy to drink, crystal clear liquid (slight taste). Type: 3rd generation process, colloid/ionic mix, latest technologically advanced colloidal solution. Ingredients: Ultra Purified water approx. 0.1 Micro-semeins; which equates to approx. 3 times double-distilled water. DLPA is used to make endorphins, which enable us to tolerate physical or emotional pain. Some people who have suffered a lot of physical or emotional pain are low on endorphins. This is a 50/50 ratio of both the D and the L forms of phenylalanine. 10mg B6 (as pyridoxine HCl). B-6 aids in the utilization of Phenylalanine. Use as directed by your health practitioner.